After a lot of work on our Tile Racer project we are going to release a new update. The 0.65 version has a lot of new features (Shadow Car, HDR, …), bug fixes and track tiles. We want to put the new packages on the website today, so keep an eye on the Tile Racer web page. wow. i just watched the video so far, but i’m rather impressed by the performance of your work. 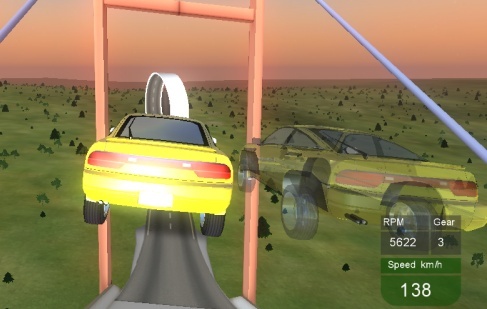 It reminds me sooo much of the excellent “Stunt 4D driving” back in the good old EGA times … I wish you also have a funky soundtrack and that oponents will come very soon. It look nice. I like it very much.